Have you flipped through the pages of the Europe 2019 Air Canada Vacations brochure? 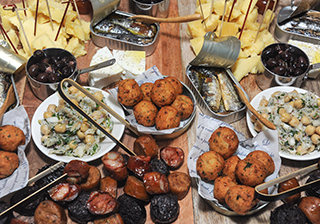 A gastronomic gem that will allow your clients to experience authentic Portuguese cuisine is tucked away between its pages. 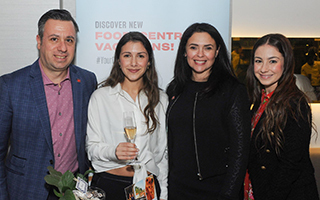 ACV has partnered up with the Ferreira family to create two independent escapes in Portugal: Flavours of Portugal and Tastes of Northern Portugal. The itineraries were curated by Claudia and Sandra Ferreira, the sister duo behind the Portugal Gourmand web series. Claudia and Sandra are part of the second generation of the Ferreira Group, founded by their father, Carlos. Carlos Ferreira founded Café Ferreira in Montreal over twenty years ago. It has come to be known as one of the best Portuguese restaurants in the world. 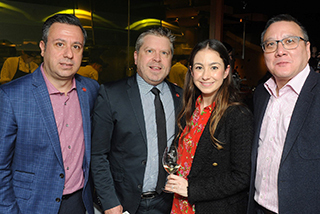 His family now operates the Ferreira Group, which owns four authentic Portuguese restaurants, all of which are located downtown Montreal: Café Ferreira, Café Vasco da Gama, la Taverne F and Campo. The trips are offered as autotours: flights, hotels, car rental, tastings and activities are included in the package, but travellers maintain the flexibility to follow the proposed itinerary at their own rhythm. Wine and port tastings, kayaking, olive gardens and a dinner cruise are just a few of the activities proposed over the course of these 10- or 12-day food-centric vacations. 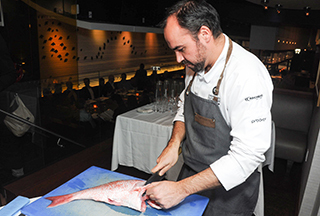 By combining Air Canada Vacations’ 37 years of experience in building unique vacations with the Ferreira’s deep knowledge and passion for food, they were able to create products which are a perfect pairing of both. “Untado uto o redavo” says Delgado; joining the useful and the fun. “We think that we can create more itineraries with the Ferreira family. Portugal has so much to offer for so many people, and this is just a start. It has already been very successful.” says Filali. 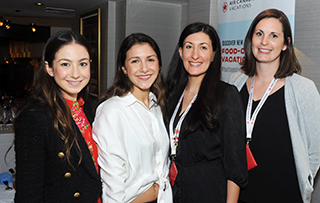 Watch the video to see Sandra Ferreira speak about the Ferreira partnership with Air Canada Vacations.